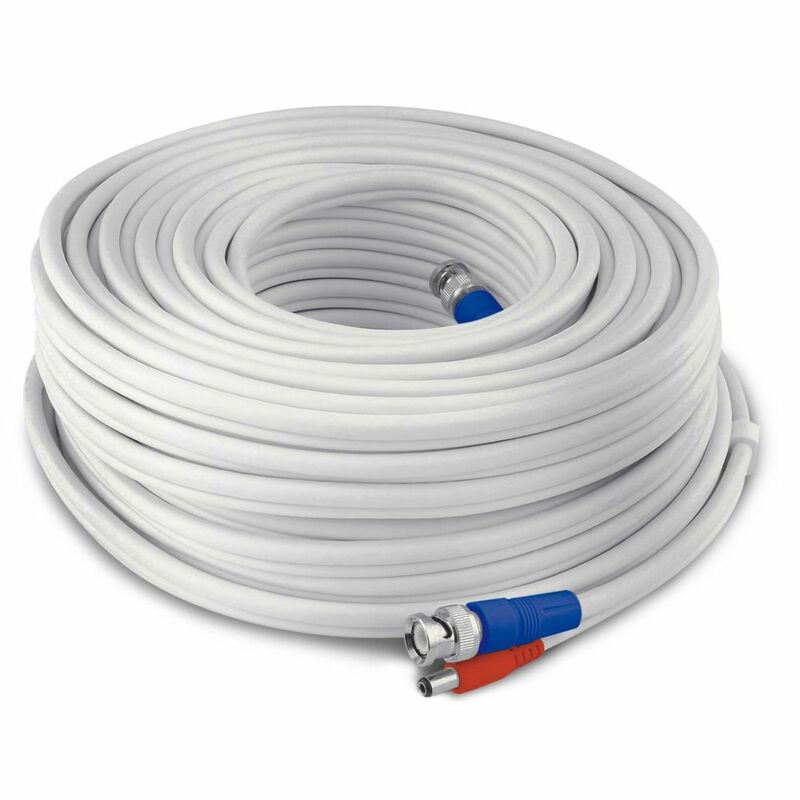 HD Video & Power 200ft / 60m BNC Cable Manufactured to the latest industry standards you can install this cable outside (when protected) or inside. This 'Siamese cable' features integrated co-axial (RG59) and DC power in one convenient roll, so you can easily and reliably extend the range of your camera's video and power signals. Run images from your CCTV camera further without the loss of signal thanks to improved shielding and insulation within the cables. It's easy to use with sturdy metal connectors that lock tight, for an easy 'plug & play' installation. The pack also includes a female to female BNC adaptor making joining cables a breeze. The other end of the cable roll easily connects to your camera's existing power adaptor and the BNC input of your DVR or recording device. HD Video & Power 200ft / 60m BNC Cable is rated 5.0 out of 5 by 1.